Today, the lovely people from over at InfaCare have given me some of their bath time products to give away. InfaCare's bubbly bath time treats are formulated especially for baby’s skin; both the original Infacare Baby Bath and the Infacare Night Time Baby Bath are ultra-mild and pH balanced with masses of long-lasting bubbles. A baby’s skin is ten times more delicate than adult skin so InfaCare is formulated to be as natural and gentle as possible which is great for little ones skin as it is so soft and sensitive that it's important not to use harsh products. 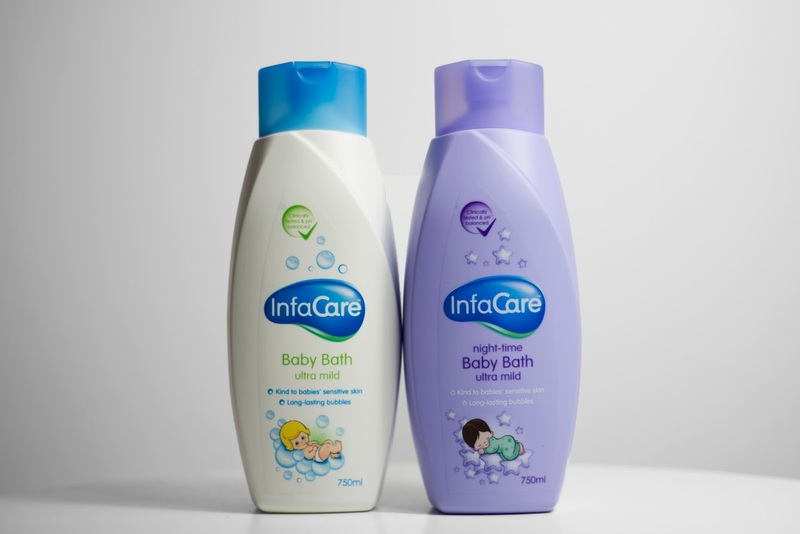 All 3 of my sons have sensitive skin and InfaCare is a firm favourite in the bath. Australia is one of the most remote countries in the world and, ironically, one of the most popular places to visit, and for the British to emigrate to too. It's always been one of those places that I've dreamt of visiting but have always felt like it will never happen. The flights have always been long, with stop overs in other countries along the way, and when you only have a few weeks of travel, wasting a few days flying probably doesn’t make sense to a lot of travellers. But nowadays, things have changed and you can travel to Australia with no stop overs, just a direct 17 hour flight to Perth. Starting a new Year is the time in which many people look for change. Whether it be starting a new fitness routine or eating better with a New Years Resolution, January is the month to switch things up and it shouldn’t stop at home. In fact, over the next month or so, our home will be getting completed gutted and revamped into new styles. Oldrids & Downtown, retailer of bedroom furniture, have predicted just what the trends look like for home design in 2018. I don't know about you, but I love experimenting in the kitchen to create new flavours, new tastes for the boys to try. Sometimes it works, sometimes it doesn't - but it's all about trial and error - the more they taste, the more they'll like! As someone who spends a lot of time in the kitchen, I love purchasing items, for the kitchen and for dining, that make me happy. I love bright colours and I love anything that is practical and space saving - so when I saw the Joseph Joseph Nest 9 Plus, I knew that it would suit my love for bright and practicality. Going away together as a family is something that we all look forward to and, no doubt, you all have your own unique traditions that you uphold. Whether it is where you go for breakfast, events that you attend or activities that you all do together, most of us have one or two holiday customs that we keep without fail. Where you decide to go away may well be your tradition, especially if you have family members that you visit. Whatever it is, it just doesn’t quite feel right until you keep family tradition. So, what are your traditions? Do you have a tradition? Or perhaps you have a tradition without even realising it’s a tradition. Shopping for healthy, yet tasty and exciting snacks for the kids can be such hard work for a parent. You want to give your children a healthy diet, but no one wants to eat bland goodness all day every day, and children need to feel as though food is not only a substance to fill them up, but gives them a taste sensation when it hits their mouth. As a parent, I must confess that even though I am very conscious and limit how many sweets, chocolates and crisps my children consume, when it comes to biscuits and snack packs, I always forget that these can sometimes lack any good nutritional content. I guess with these snacks being such a small part of their diet, it's easy to disassociate. With the first rays of warm summer sun, we want to be out enjoying the garden. But if you are fed up of sitting on rickety chairs or eating from a wobbly plastic table, now is the time to invest in a garden furniture set. Get it right, and it will last for many summers to come. But how do you make the right choice? On the face of it, choosing a garden furniture set shouldn’t be too much of a problem. And yet, we seem to have to keep buying chairs and tables summer after summer, wasting money on items that either don’t last the season or are not comfortable, stylish or remotely suitable for how we use them. In December, the Teenage Cancer Trust asked me to be a part of their new campaign to help promote what they do and help in raising funds at the same time. The Teenage Cancer Trust are here to ensure no young person faces cancer alone – and they need our support to achieve this with raising those all important funds and working to share these campaigns to get the message out there! Did you know that around seven young people aged between 13 and 24 are diagnosed with cancer every day in the UK. They need expert treatment and support from the moment they hear the word ‘cancer.’ The Teenage Caner Trust the only charity dedicated to making this happen. Camping When You Have A Large Family - What Car Is Best? Camping - it's not only a great alternative to a traditional holiday, but it is a way to get to know nature and spend time as a family without breaking the bank. But it's not always easy to do. Camping with kids, especially a large family, takes some planning and forethought. 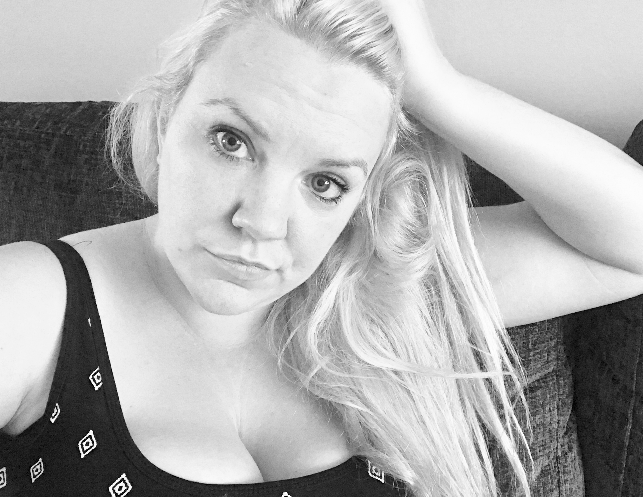 Everyday there is a new article online about how we should learning to love our bodies - in 3 easy steps or some other kind of target led strategy. And said articles are always full of women who have learnt to love their freckles, their bum, their tum, or all three and it's great to see. Life isn't always about following what a glossy mag tells us to do. Not every body is the same and those 3 steps that works for one person, might not work for you. And it can be upsetting when something doesn't work like it says it will. A baby is born with monochrome vision and is unable to distinguish the difference between colours until they are about 8 month old. At around 3-4 years, a child can begin to recognise basic colours as frequent exposure to colours can help strengthen this skill. That's why young children’s brains are stimulated by bright colours. Not only does it grab their attention, but it fuels their inquisitive minds too. Reducing Our Emissions: Will Waste Products Fuel Our Aeroplanes? There has been a continuous climb in the amount of people travelling by plane and there are no signs of it slowing down anytime soon. We in fact go on our first family holiday abroad in three months time and the boys cannot wait to go on a plane. When boarding the flight, the last thing on our minds will be the source of fuel the aircraft is using. Did you know that waste management experts, Reconomy, who are unbeatable on skip hire prices, have looked into whether waste will be used as the new fuel for our aeroplanes. Milton is probably a household name to most people, and if you have children, then it's likely that you'll have used their sterilisation products before. And with Milton more recently launching into microwave steam sterilisation market, it's highly probable that you've used one of their products throughout some time. But did you know that Milton also have a range of cleaning products too? From washing up liquid and surface spray to surface wipes and even hand gel. Milton has it all and it all kills 99% of germs and bacteria to keep your home protected from germs. And I am giving a bundle of the Milton cleaning range away. As a parent and someone who has to be conscious of where and how much, I spend when it comes to stocking up, I love when an Aldi Specialbuy event arrives and it's something that is suitable for us. Well, the Aldi’s hugely popular Baby and Toddler Specialbuy event is returning this month (available online from 14th Jan and instore from the 18th) and is perfect timing for mums and dads who might be feeling the financial pinch after the festive period. As always, there is an amazing selection of products for your little ones on offer ranging from bedroom furniture to buggies, feeding time to bath time and more all available at Aldi’s everyday amazing low prices. Moving can be an exciting time for a family. It can mean moving to a bigger home, moving to a nicer area, and it can mean having a much-needed fresh start. Convincing your young children that the move is a good idea, however, can be problematic if you don’t do it right. This is because children thrive on routine. Moving to a new house unbalances that routine, especially long distance movers which could mean more than a new bedroom, it means a new life, and they have no idea what to expect. 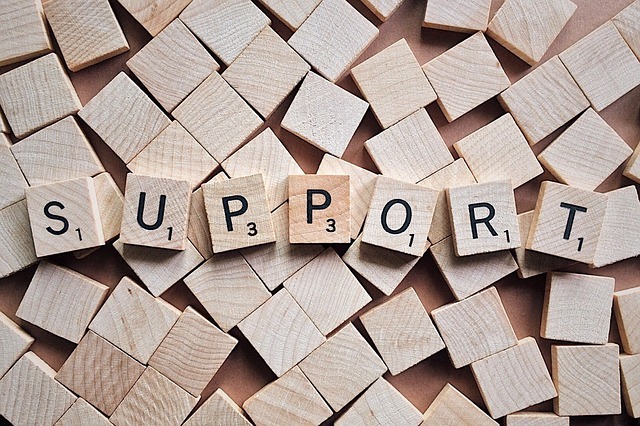 As someone who spends a lot of time, and money, buying products (mostly stuff for the kids), I know just how important good customer service can be and how it affects where I spend my money. Bad customer service seriously puts me off ever wanting to spend money with a brand again and those who send you round in circles on the phone, constantly putting you on hold - no thanks! Businesses that are doing it right, I personally think are the ones who put all the information you might ever need, in easy reach of you. I mean, you don't want to be trying to find out how to contact your oven supplier and getting no where on their website. New Years Resolutions have always seemed a bit of a fad thing to do. Every year we'll all say how we'll lose weight, eat less and move more, but after the first few weeks, it starts to slide and we forget that we even made any resolutions - until next year when we make the same ones again! This got me thinking about New Years Resolutions and how we should start to learn at a young age about trying new things, and doing new things. New Years Resolutions are supposed to be about bettering ourselves, and opening ourselves up to new things - not just something we say just to have a resolution. 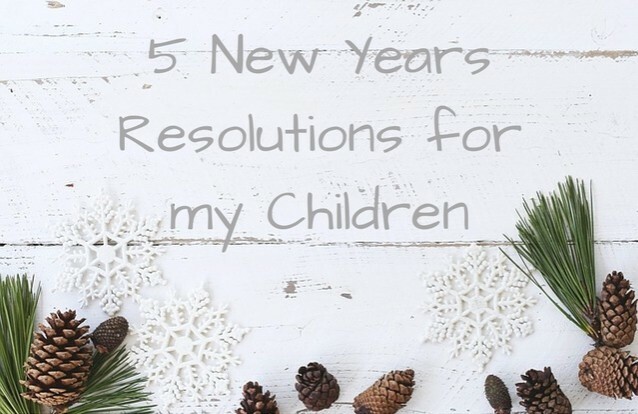 Having 3 children means that we're constantly busy and each year seems to fly by as if it hasn't even existed. 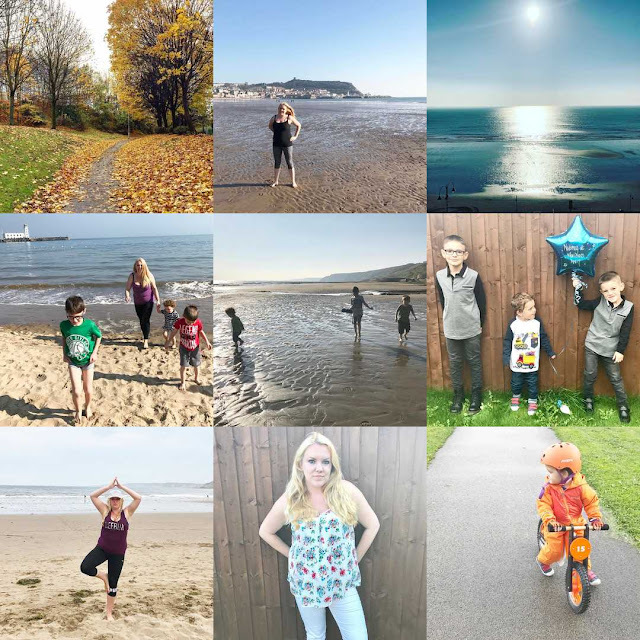 I love looking back at my Instagram feed and remembering all the fab things we have done. The Best Nine shows me that these 9 photos were my most popular of the year and I'm hoping that 2018 will be even better - so much so that even the Best Nine will struggle to decide which photos are best! There are certain toys that we receive and my initial thought is 'this isn't going to be worth the money' and that's what I think when I see robots. And I must admit right now, that the Xtrem Bots XT30039 Trooper Bot has totally changed my mind of this. 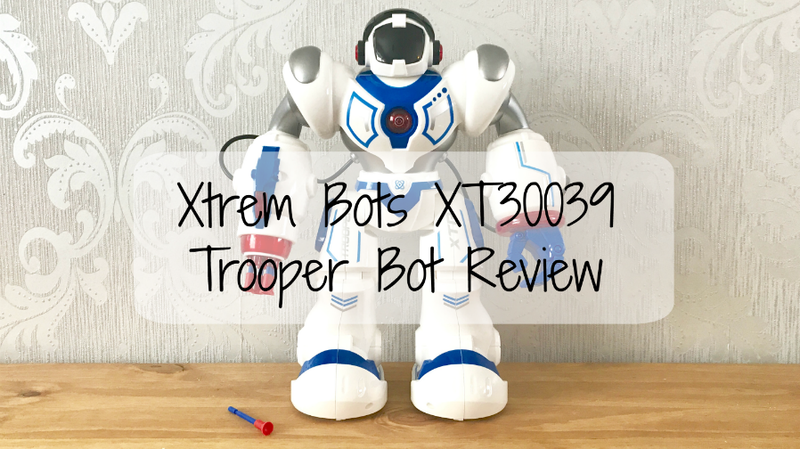 The ultimate Xtrem Bot, the Trooper Bot is over 35cm tall and is armed and ready for combat. He has a missile launcher built into its arm so you can take aim and fire using the infrared remote control that he comes with. When the battle is complete and the Trooper Bot has won, it will perform its own robotic dance!